It wasn’t until Mark started teaching us that I understood dancing much better. 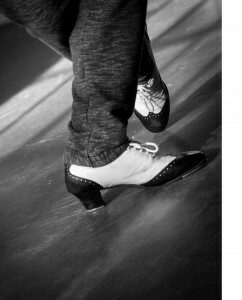 It is the way Mark teaches, going over steps at our pace, moving on when ready, and really making us understand footwork, positioning, where your weight is supposed to be; in fact, everything I hadn’t understood properly before. Dancing Feet has a friendly, relaxed atmosphere with a variety of people learning. Mark and his assistants are all very encouraging and helpful whilst making the entire experience fun - we always have a giggle! !